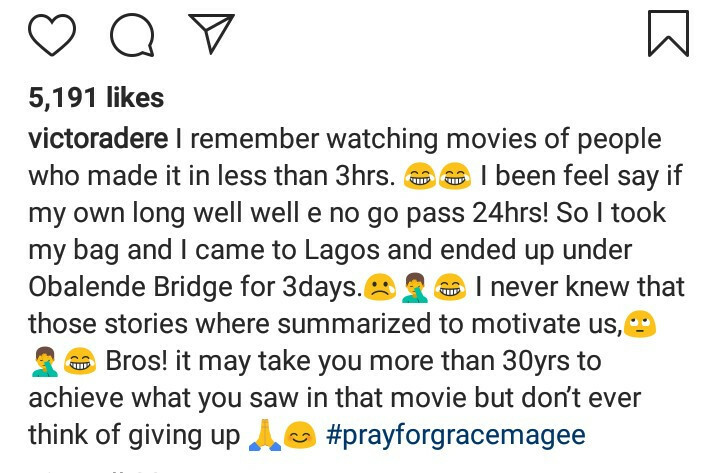 Victor Adere, popularly known as Victor AD, has narrated the hardship he suffered when he first came into Lagos in search of greener pastures. Applicants must have IELTS score for undergraduate 6.0 (No less than 5.5 in any component) and for postgraduate students 6.5 (No less than 5.5 in any component for MA or MSc). Course Level: Scholarships are available to pursue PhD research programs. Study Subject: Scholarships are awarded in the area of Philosophy. Scholarship Award: These scholarships cover your tuition fees and – depending on your residency status – provide an annual stipend at the research council rate (approximately £14,777). Nationality: This scholarship is open to UK and EU applicants. Eligible Countries: This scholarship is open to UK and EU applicants. This opportunity is open to UK and EU applicants. How to Apply: Before you apply to us, you should discuss your project with an academic at the university. To arrange this, please contact adhlsspgadmissions-at-mmu.ac.uk, +44 (0)161 247 6673. You must first apply to us via our online application system (using the Apply online link below). The deadline for applications is midnight on 14 January 2019. We will assess your application and invite the strongest candidates in for an interview. You must also complete the North West Consortium’s application form. This must be returned to adhlsspgadmissions-at-mmu.ac.uk by 5pm on 8 February. ← Stop Bleaching Your Face & Forgetting Your Legs” – IG User Slams #BBNaija’s Cee-C.